The attack took place late on Saturday night. Armed Maoists had struck at a contractor’s camp late on Saturday night, said Singh. They took away the watchman, Rabindra Mallick, from the camp to the nearby forest and shot him dead. Before leaving, they put up some leaflets near the site, the SP said. The leaflets said that the attack was made by Kandhamal-Kalahandi-Boudh-Nayagarh (KKBN) division of the banned CPI (Maoist). The leaflets said that the watchman was killed as they suspected him to be an informer of the police, Singh said. Meanwhile, combing operation has been intensified by the security forces in the aftermath of the incident, he said. At least four Maoists, including a woman cadre, had been killed in the same area in May last year in an exchange of fire with the police. Naxals are quite active in Chhattisgarh. On October 30, a Doordarshan cameraman died after the national broadcaster’s crew was attacked by Naxals in Dantewada district. The attack that killed cameraman Achutyanand Sahu took place in Dantewada’s Aranpur. Two security personnel also lost their lives while two others were injured in the attack. The injured were taken to the hospital. Naxals had increased attacks ever since poll dates were announced because they had called for a boycott of the Assembly polls. 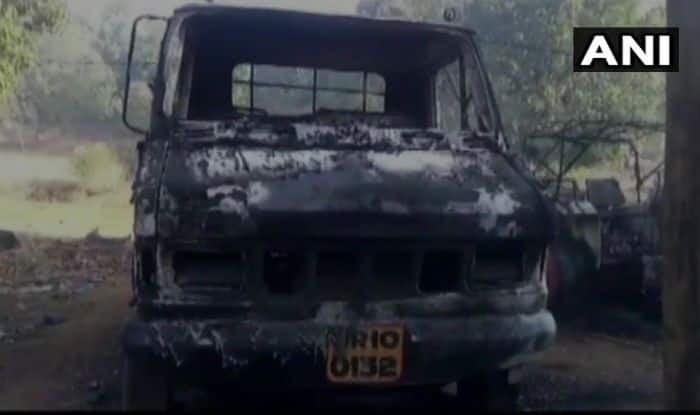 Just a couple of days before that, four soldiers of the Central Reserve Police Force (CRPF) died after Naxals blew up their anti-landmine vehicle in Bijapur district of the state.